You and your boyfriend have been together for just over a year. Everything is working out great! He is the man you have dreamt of, and you are excited about your future together. Then, you find out you are pregnant. If you and your boyfriend have not yet discussed what you would do in this situation, you are not alone. Many couples do not discuss a plan of action prior to pregnancy. When faced with an unexpected pregnancy, you need support. You need someone to talk to. You want someone to be there for you to listen. 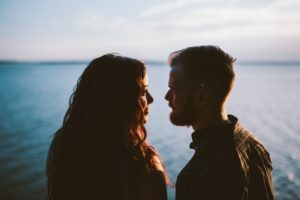 What if you and your boyfriend do not agree? What if he wants to raise the baby, get married and begin your family. Meanwhile, you are thinking an adoption plan would be the better route for both of you. Perhaps he has already offered to pay for the abortion, but you are unsure if you want an abortion. You may find yourself in several different scenarios. Just remember, you are not alone, and you can work through this together. Your first step is to schedule an appointment with Your Options Medical. A positive pregnancy test should always be confirmed with a medical grade pregnancy test which is offered free of charge to patients at Your Options Medical. Next, if the pregnancy test is positive, you will want to receive an ultrasound. This exam will visually confirm if there is an actual pregnancy and help you determine if a decision needs to be made. Then, you can talk with the trained staff at Your Options Medical about all three of your options: abortion, adoption, and parenting. You can ask questions, review procedures, and learn more about each option. At Your Options Medical, we invite our patients to bring a guest with them. You can bring your boyfriend, mom, friend or anyone you would like with you to the time of the appointment. If you and your boyfriend disagree or have differing feelings regarding your pregnancy, you can both receive options counseling from Your Options. If you would like to learn more or schedule an appointment, contact us today!